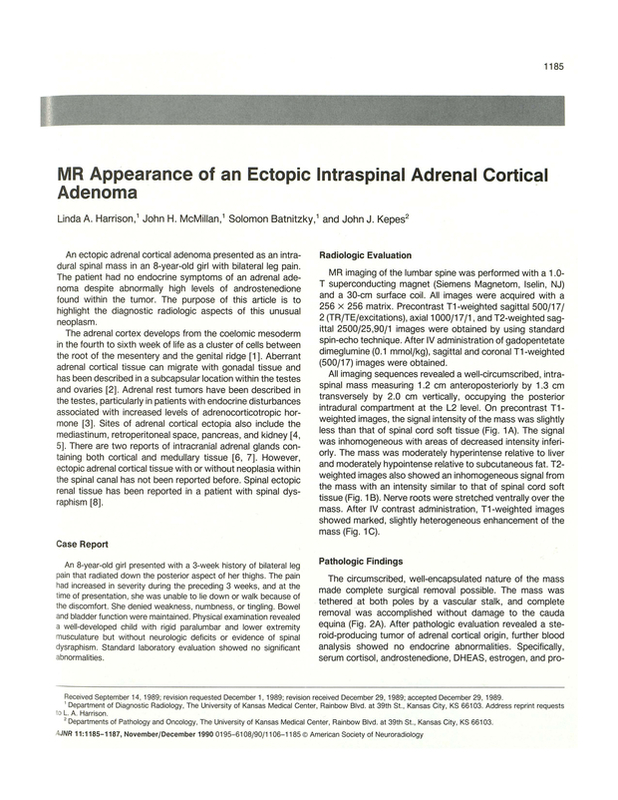 MR appearance of an ectopic intraspinal adrenal cortical adenoma. Department of Diagnostic Radiology, University of Kansas Medical Center, Kansas City 66103. You are going to email the following MR appearance of an ectopic intraspinal adrenal cortical adenoma.